Egypt’s President Abdel-Fattah El-Sisi ordered the government on Thursday to withdraw its appeal against the High Administrative Court ruling issued in February concerning the right of pensioners to receive annual increases to their pensions, the Egyptian presidency announced. The president ordered the government to send the matter to the general assembly of the State Council. On 21 February 2019, Egypt’s High Administrative Court ruled that post-2006 pensioners have the right to receive annual increases from the government, putting an end to a lawsuit that started in March 2018 against the government by the Pensioners Union, which was headed by long-time workers and pensioners activist El-Badry Farghaly. The Egyptian government declared following the court ruling that it would appeal the decision. 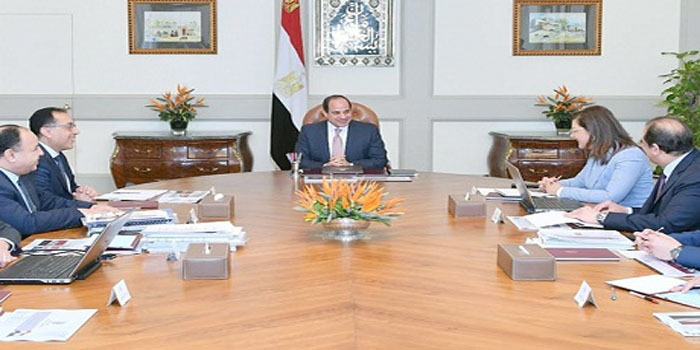 The Egyptian president held a meeting on Thursday with Prime Minister Mostafa Madbouly and the ministers of finance, social solidarity and planning as well as Abbas Kamel, the head of the General Intelligence service to discuss the matter.